By a vote of 50 to 49, the Senate this week confirmed Kathleen Kraninger as the next director of the Bureau of Consumer Financial Protection. Kraninger replaces Mick Mulvaney, who simultaneously served as director of the Office of Management and Budget and the BCFP’s acting chief since November 2017. 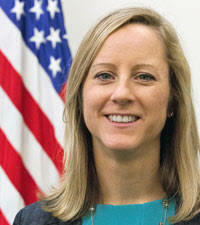 Kraninger had been associate director of General Government at the Office of Management and Budget. She also worked at the Department of Homeland Security and on Capitol Hill from 2011 to 2017 as a staff person for the Appropriations Committees in both the Senate and the House of Representatives.